Justice Muhammed Lima of Benin division of Federal High Court on Thursday sentenced Michael Igbinedion, son of Gabriel Igbinedion, a Benin based billionaire to six years imprisonment over alleged laundering of N25 billion fund belonging to Edo state government. Justice Lima also sentenced Patrick Eboigbodin, an aide to the former governor Lucky Igbinedion to 20 years imprisonment, in addition to a fine of N250,000 on a 10-count charge. 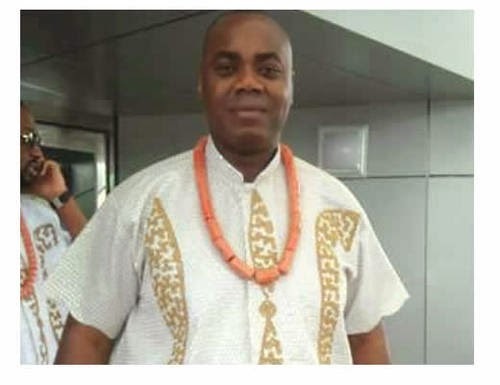 Michael Igbinedion, a younger brother to former governor Lucky Igbinedion, was sentenced to two years imprisonment on each of the three count charges. He was however given an option N3 million fine. All the jail terms of the convicts are to run concurrently. PML Securities Limited, one of the companies allegedly used by the convicts to launder the funds, was ordered to fold up and forfeit all its assets to the federal government. The 81-count charges case was instituted against the convicts, Michael Igbinedion, Patrick Eboigbodin, Gava Corporation, Romring Nigeria Limited, PML Securities and PML Nigeria Limited by the Economic and Financial Crime Commission (EFCC), an offence said to have been committed between 1999 and 2007 when Lucky Igbinedion was governor of the state. Michael Igbinedion was convicted on counts 79, 80 and 81 which bothered on collecting cash payment above N500,000, while Patrick Eboigbodin and PML (Nigeria) Limited were found guilty on counts 50, 51, 52, 53, 54, 55, 56, 57, 58 and 58 which bothered on collaboration to conceal origin of funds amounting to millions of naira paid into their private accounts. Justice Lima however discharged all the accused on other count charges on ground of failure to prove allegations beyond reasonable doubt by the prosecution.‎ He said the prosecution only proved suspicion and failed to prove illicit origin of funds deposited in some banks.